It’s not every day we get the opportunity to work with a company that is over 150years old! 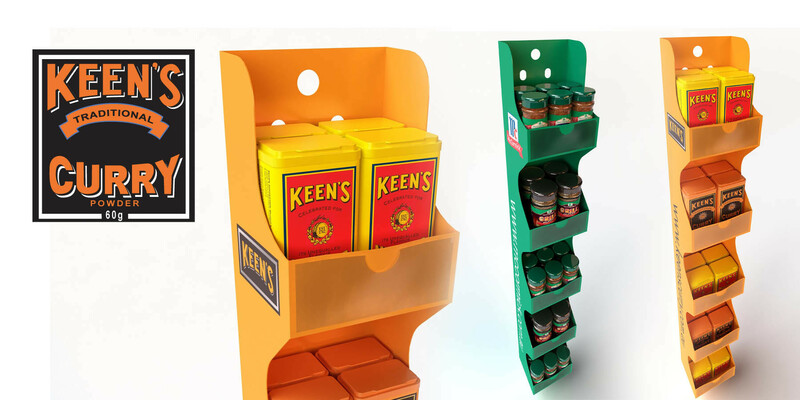 The opportunity to produce artist impressions and interactive demo for Keens Curry, part of the McCormick’s group was certainly a privileged to say the least. We think the result speaks for itself which assisted StandOut in reducing its revisions and selling the idea much quicker to key stakeholders. The 360 interactive helps customers visualise and sell idea’s in a way that engages with their audiences and helps “tell a story”, and essential part to good marketing and presentation. Giving your audience the ability to interact makes the whole design process much more personal and the additional ability to view an object from every angle simply supersedes traditional still photography. As the interactive 360 was developed for presentation purposes, please contact us for a demo. To ensure the 3D Product Renders looked like a photograph our team simulated typical product studio photography giving it that additional realism that our Chinese competitors simply couldn’t achieve before we were engaged. To use our client’s words “you get what you pay for” and in the end their investment with us was more cost effective with less consultation required and a product that sells. For more information on artist impressions in Melbourne or anywhere else in Australia please contact our team today 1300 794 077.